I must admit, the idealist in me was really excited to hear about the existence of the Local Sprouts Cooperative in Portland, Maine. In a nutshell, the mission of Local Sprouts is to provide the community with access to quality local food, while at the same time, serve as a positive example of an alternative business model where workers have ownership in the business. Currently, there are just three worker-owners and numerous volunteers. Worker-owners are able to participate in this business model after a 3-month review and are given the option of joining the cooperative after 6 months with a modest investment, work-trade or a combination of the two. Local Sprouts is the first Community Supported Kitchen in Maine, and their business model is based on San Francisco’s successful Community Supported Kitchen Three Stone Hearth. 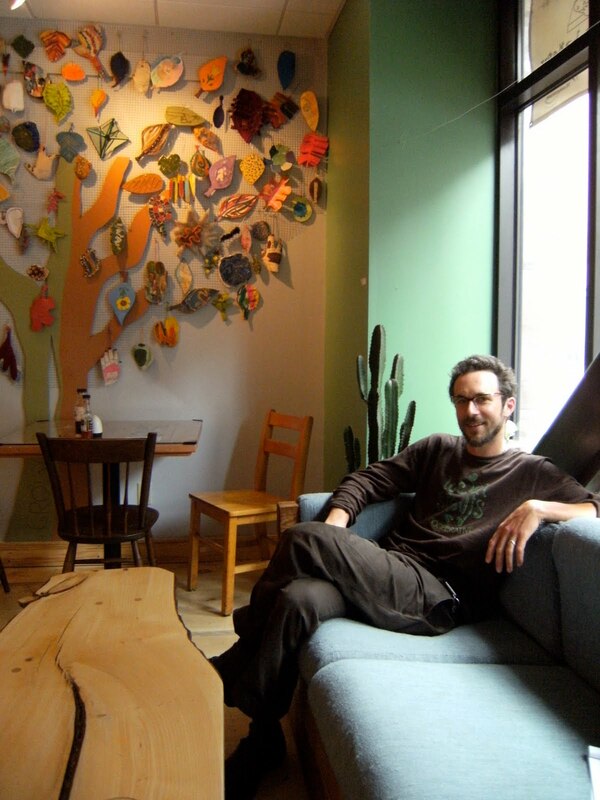 As a worker-owned business, Local Sprouts also reminds me of many of the worker-owned cafe collectives in Portland, Oregon, such as the Red and Black Cafe, and the now defunct Back to Back Cafe and Redwing Coffee and Baking. Upon a recent visit, I had the opportunity to speak with cooperative owner and co-founder Jonah Fertig about the evolution of the Local Sprouts Cooperative. 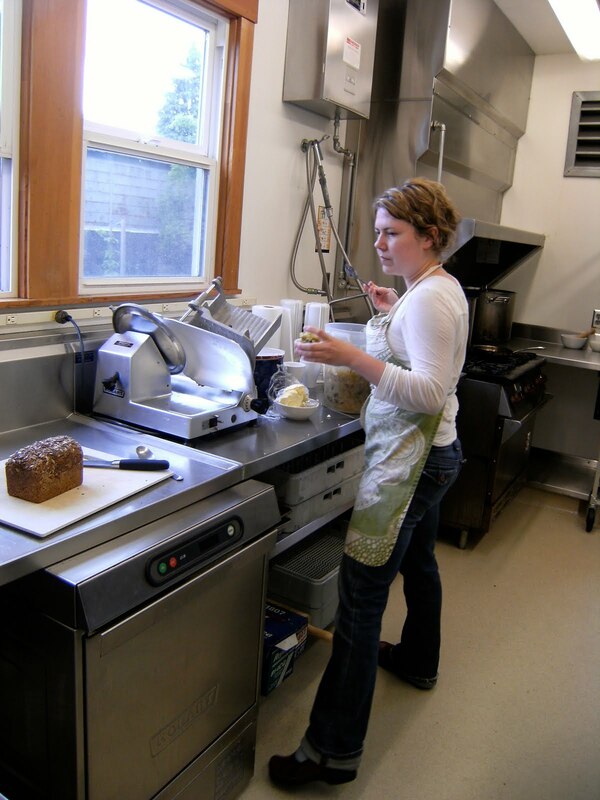 In its early stages, the cooperative didn’t have a cafe space, but they did have a certified kitchen and did catering for area nonprofits and served as a community supported kitchen where members of the community were invited to invest $100 and were give $110 credit to order from rotating weekly menus. Member were able to order online and do pickups at the Public Market House.The cooperative used the pre-order system for about a year and a half, before they decided to open a cafe. Jonah Fertig said, “It’s about how to develop and support your community. What does your community want?” Apparently the community wanted a cafe. Fertig talked at length about the outpouring of volunteer efforts from the community to create the space, boasting that over 200+ volunteers participated in the build-out of the cafe–and it shows. The cafe itself is beautifully designed. Clearly, a lot of attention went into creating this cheerful and inviting space, and there are many artful touches–from the mosaic of a tree at the entrance to the handsome hand-crafted wooden furniture that still maintains the integrity of being a tree. The space has a very organic feeling. Fertig explains that the majority of capital for the creation of the cafe was raised from private donations, CSK memberships and local low-interest loans. Now, the cafe has a menu with something for everyone, pleasing herbivores, omnivores and carnivores alike. Fertig claims that as much as 80-90% of the food is locally-sourced and the cafe uses food from many area-farms and the business strives to support local agricultural and conservation efforts in the region. Some businesses Local Sprouts supports include Turkey Hill Farm, Freedom Farm, Fishbowl Farm, Kate’s Butter and Mainely Poultry to name a few that were listed on the cooperative’s website. The cooperative has a strong history of providing food for events and working with area nonprofits by either donating or offering discounted food when possible. Fertig explains that Local Sprouts is interested in being a resource for area school and nonprofits. The cooperative also offers classes and teaches people to cook using local food to increase awareness about local food. As a native of Maine, I can’t help but be intrigued by how the food culture in Maine has evolved in the past 10 years. My memories of food from childhood consist of lots of haddock chowder, fried seafood and french fries, and sweets galore including blueberry pie, whoopie pies, strawberry shortcake, no-bake cookies, ice cream and fudge. Now, cities like Portland, Maine are rolling with the times, connecting people to healthy local, regional and organic food. The importance of buying food from your own region has become crucial. So do yourself a favor by eating better and supporting your community. The Local Sprouts Cooperative is just one business in Portland, Maine that is doing just that. The food system is circular and by supporting businesses that support local food the money stays in the community and supports the local economy. Portland, Oregon has a thriving local food culture. It’s no wonder, with a 12-month grow season and some of the most fertile soil in the country. Local farmers benefit from the supply and demand created by the general public. Renegade chefs are flocking in droves to the Willamette Valley, to be part of a food revolution that offers quality ingredients to the local consumer. With a variety of purveyors to choose from, Community Supported Agriculture (CSA) and Portland Farmers Market offerings abound, providing chefs with the raw materials to support a population of people who are demanding local, seasonal and organic food. It is the existence of this local food culture and the support of the regional agricultural system that drew local chef and proprietor of Community Supported Kitchen (CSK), Salt, Fire and Time to the area. Recently, I had the opportunity to speak with Tressa Yellig about community supported kitchens, how she got her start and why people should be supporting the four CSK’s that are in existence. Yellig explains, the technical definition of community supported kitchen is, “a community scale model for food preparation” and that this is the only common link between the four community supported kitchens that exist in the United States today. As sole proprietor of Salt, Fire and Time, with a handful of volunteers, Yellig has her hands full cooking nutrient-rich food for 30+ families, teaching classes, and hosting events, not to mention the recent addition of a low-key cafe that is volunteer-run. The cafe offers a small selection of simple, traditionally-prepared foods that nourish. Think of a plate with dense bread and homemade butter, flavorful sauerkraut with texture and an egg made your way and you have the idea. Yellig credits her grandmother, who was a traditional German chef, as among her first culinary influences. Yellig claims that it was not a participatory process in the kitchen, as her grandmother maintained secrecy, and did not divulge trade-secrets, as family recipes were a prized possession. Yellig also credits her uncle, who was a farmer, as a significant influence. Although Yellig acknowledges her family experience as playing a significant role in the development of her food philosophy, she also comments on the process of educating herself, acknowledging the Slow Foods movement and the Weston A. Price Foundation, as fundamental sources of information, and Sally Fallon’s Nourishing Traditions cookbook. In New York, Yellig complemented her self-education by working for herbalists and attending the Natural Gourmet Institute. 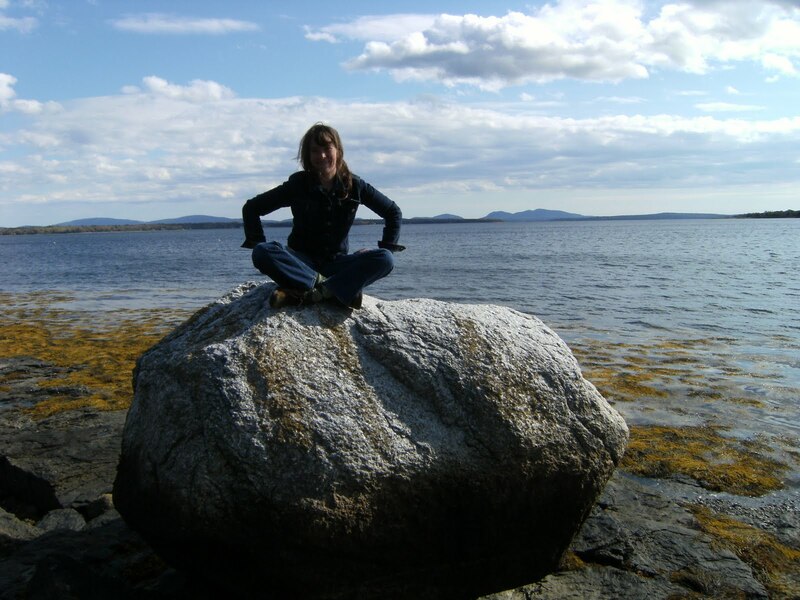 Yellig explains that she had the desire to do work that was healing, and at one point, thought about becoming a naturopathic doctor before attending the Natural Gourmet Institute. Although the Natural Gourmet Institute, in some ways, formalized her education as a chef, Yellig recognized that she really had already learned the fundamentals of cooking well before she attended this school, and credits her personal experiences, mentors and the learning that she did on her own, as being a substantial part of her education. The Natural Gourmet Institute provided her with some valuable contacts and the opportunity to intern at Three Stone Hearth and work with Natural Gourmet Institute alumni and mentor, Jessica Prentice. From New York, Yellig headed west to do an internship with Three Stone Hearth, a community supported kitchen in Berkley, California, and the first of its kind. Positively influenced by the Full Moon feast series, established by Jessica Prentice, Yellig was able to learn by watching and participating in a large scale operation that provided feasts for 50 to 100 people at a time. The labor was volunteer-based, and the business model supported 5 worker-owners full time. Yellig explained that the start-up money for this business was established with private donation-based funding and the great success of this business was in the excellent reputation of the worker-owners, and the community-based resources the chefs were able to access. According to Yellig, this cooperative was not only able to pay back $100,000 of borrowed money but able to pay themselves a salary within 1 year’s time, which is incredible for any business in their first year. From here, Yellig went on to do formal paid work as an Executive Chef in Mendocino, leaving her volunteer kitchen manager position with Three Stone Hearth in Berkeley. As Executive Chef for this restaurant, community-minded Yellig worked with local purveyors and farmers to create meals for the public. These connections in the community led her to become the manager of the local farmers market and to become better connected with the agricultural community. From California, Yellig witnessed the migration of great chefs as they ran to the promised land. As a smaller city, with an already thriving food scene, Portland became popular. Access to local food, was a public demand. In similar fashion, Yellig chose Portland to be the location of Salt, Fire and Time because of the already established community support, and existing scene that was largely supported by the public. Yellig also noted the lower cost of living and the lack of taxation as being incentives to move. To sustain CSK’s as a movement, the public will have to be involved. Yellig invites the consumer to participate in the “life cycle of the business” by supporting 1 of the 4 CSK’s in existence, and to engage in a community movement. If you want to get to know know Salt, Fire and Time stop by the kitchen and make yourself known. The food purchased through a CSK is often the best use for your “eating out” food dollars. The food purchased through a CSK is nutrient-rich, meaning, you are getting your vitamins and minerals, without using a supplement. The food purchased through a CSK is traditional, and good for what ails you. Just ask your Grandmother, who had the right idea by placing sauerkraut beside the sausage on your plate. The food purchased through a CSK is local, seasonal, and organic, thus it supports regional agriculture, the systems of the body as well as your local community. The food purchased through a CSK supports your own good health and that of your family. The food purchased through a CSK saves you time, which benefits the working public. The food purchased through a CSK saves you money. As businesses, CSK’s benefit from wholesale discounts; a soup that would cost $34 dollars to make at home, only costs you $16 from a CSK. Your food dollars go into long term food costs, with better quality ingredients that would cost you 2x’s as much in the store. And last but not least, the food purchased through a CSK allows you the opportunity to support revolutionary changes that are occurring in regard to food culture. As a consumer, you are demanding a higher quality product, thus making other food providers stand up and take notice, and supply the same quality ingredients. The principles of supply and demand are simple: as a consumer, if you demand high quality health-supporting food, you will get it, and at a cheaper price, because of the competitive market we live in. I don’t like my food to come in plastic shrink-wrap or to be served on TV dinner-style trays. So, what’s a girl in flight to do? Last November, I arrived at the airport prepared. I was scheduled for a flight to the east coast, and with a parcel of groceries in hand–I was committed. I was not going to be purchasing any small, over-priced meals that were potentially warmed in a microwave. In hand, I had: a jar of crunch peanut butter, several pieces of whole fruit and vegetables, cottage cheese, raw hard cheese, avocado, nuts, seeds, dried fruit and dried meat. I was so pleased with my selection of nutrient-rich foods that, in theory, was going to last me the entire flight. My bubble was burst as my parcel of food was being scanned for potential explosives or liquid content. My unopened jar of peanut butter and cottage cheese were pulled from the bag immediately. The attendant said, “These are considered liquids, you will have to throw these away”. I tried to argue that ground-peanuts are not considered a liquid, and that if the attendant would actually look at the cottage cheese in his hand, he would discover that it was actually a “dry-curd” cottage cheese (if such a thing actually exists). To my chagrin, my efforts to hold on to my food failed due to standard procedure. A women looked at me skeptically as I tried to give her the unopened food, but it seemed shameful not to try. In the end, the best I could do was leave the unopened containers on the edge of a trashcan and board the plane hoping that the food would be eaten by someone. This is one of the many reasons I do not enjoy flying. At the airport, personal freedom is restricted, and one’s choices are limited. This interaction started me thinking about how I might be better-prepared with my own food for flight the next time I travel. If I view the restrictions in service and the limitations as a challenge it will be interesting to note what I can get away with bringing or making myself. Instead of eating airplane food, I’ve decided to commit to creating my own meals while on the plane with the nutrient-rich ingredients I bring myself. If you think picnic you have the idea. 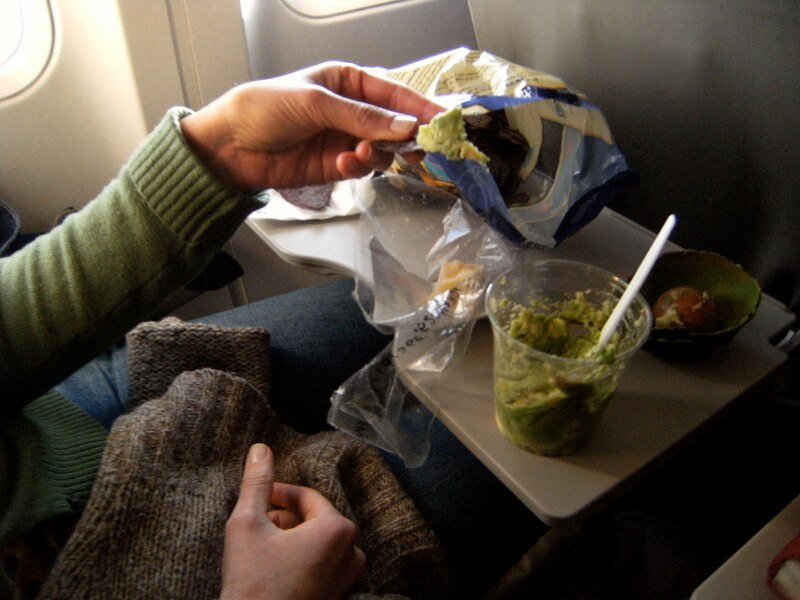 On this particular flight, and with the ingredients I had left, I was actually able to make a simple and yet tasty guacamole, that would have been considered a “liquid” had I mashed the avocado before boarding the plane. Not bad, for some of my food being spurned by airport attendants! Use the plastic fork or plastic knife that is provided by the airline to cut the avocado in half. Remove the pit and scoop out the avocado center. Mash the avocado content in the plastic water cup that is provided. Take out some cut onion and pepper pieces that you sliced the evening before, and mix them in with the avocado. With a plastic knife, take a whole thin-skinned lemon and slice off a section (not as difficult as you may think), squeeze the desired amount of lemon juice into your guacamole. You can use the rest of the lemon to flavor your water. If you do not have a lemon on hand, you might ask one of the flight attendants if they have any lemon or lime, as these are often served with drinks (it is, at the very least, a whole food). Mix in the salt, pepper and cayenne you brought along. Your guacamole is ready to eat! Enjoy alone or use as a dip for vegetables, tortillas, or anything else you brought to spread it on. I spread mine on some tortilla chips and added a little raw cheese! As it stands, I will be leaving for the east coast in a few weeks, this time, I will be better-prepared and more creative with what I make. What else is there to do while on a plane for many hours? I will be teaching a class about the fundamentals of nutrition and transitioning to a whole foods way of eating this Saturday, January 23rd, from 1:00 PM to 2:30 PM at the Northwest Women’s Fitness Club. The class is free for members and I believe it is only $15 for non-members to get a day pass. Call the front desk at 503.287.6755 to register for the class! Space is somewhat limited. 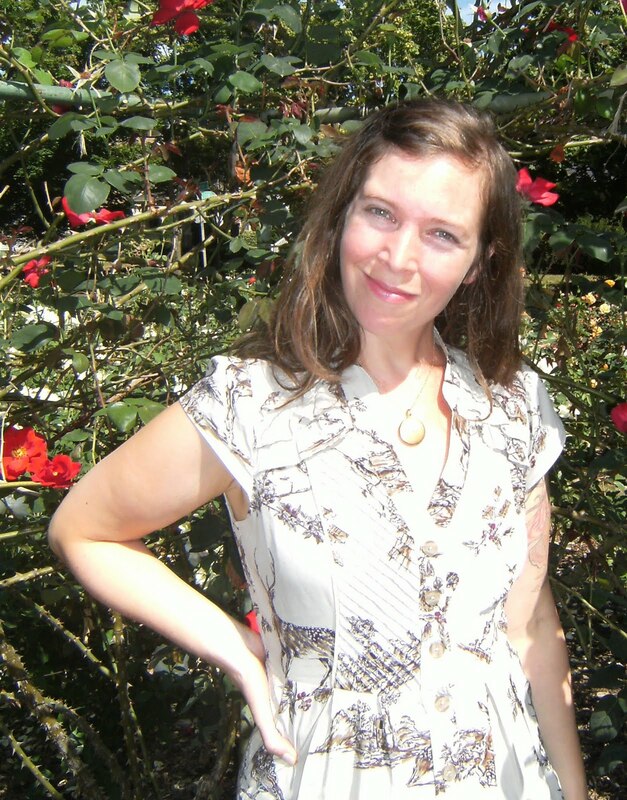 I was a guest nutritionist on the KBOO Community Radio Food Show on November 18th. I talked about why vegetarians should not be eating Tofurkyor other soy products that are not properly fermented for Thanksgiving. Follow this link to listen to the show which is called “Thanksgiving Special: Tofurky, Oregon Cranberries and The Adaptable Feast”. I will have a 15 minute segment on theKBOO Community Radio Food Show on November 18th from 11 AM to 12 PM. I will be discussing why vegetarians should not be making or eating tofurky for Thanksgiving and what they should make and eat instead. Tune into 90.7 FM to check it out! As a nutritional therapist and cook who emphasizes the use of nutrient-dense foods and traditional food preparation methods, my goal is to help people find time to prepare meals and to educate people about foods that support and maintain their vitality. Knowledge is power and with the right information, people can heal their own bodies with the vitamin and mineral-rich foods they consume. With a little planning, preparing meals that nourish the body can be easy. Part of this education emphasizes using quality ingredients, and helping people locate foods that contribute to maintaining health. I believe that an investment in the quality of foods you consume is an investment in your future, and is a form of preventative health care. Check out upcoming nutrition and traditional foods cooking classes in November with Traci at community supported kitchen Salt, Fire and Time in Portland, Oregon. Students will learn about versions of sugar, salt and fat that actually support health and why. Students will learn ways to improve digestion and how proper digestion supports healthy immune function. Students will learn how to source food on a local level. Please contact Traci Goodrich for more information and to register for classes. The amount of the class includes nutrition education and food that is organic and sourced locally, for the preparation of the community meal. Class size will be limited to ensure individual attention. Some work-study positions are available that reduces the amount of the class. Students will learn how to jump-start their body’s ability to produce stomach acid and digestive enzymes. Students will learn about specific nutrients that many vegetarians are deficient in and how to better absorb the vitamins and minerals they consume. Students will learn how to reduce their dependence on soy, wheat, and cheese and which versions are considered better alternatives for wellness. Students will learn about some of the low-fat myths that might be undermining their body’s nutritional needs.